“Women’s football isn’t quite the same as men’s. Good luck to the ladies but it’s not really my cup of tea”. Alas, that is the sentiment I often hear when people talk about women’s football. I have to confess, I’m a latecomer to women’s football and I did agree with that statement, up to a point. That being said, it is interesting and exciting in its own right. So what changed my perception of women’s football and why should you give it a chance and get to a game? Last summer like many football fans, I was yearning for the start of the new season. Being an odd year, there was no Euros or World Cup so I had to make do with a woeful performance by England’s Under 21’s. The only other notable event was the Women’s World Cup which I confess I only started watching when England reached the knockout phase. Yes, I jumped on the bandwagon but it felt like a special moment, that we were on the cusp of achieving greatness – it felt like Italia 90 and Euro 96. This was the first turning point for me; albeit tournament football comes and goes, sustaining that interest over the course of a season is another matter altogether. The second turning point was following our Spurs Ladies this season. 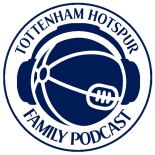 Earlier this season a lady called Adelle Mitchell came forward and asked if one of the many Tottenham podcasts could provide some coverage for our Spurs Ladies. To my knowledge, there had been no coverage up till now by any of the podcasts. In light of that, I decided that the Tottenham Hotspur Family Podcast would provide a weekly update on the Spurs Ladies and one of my co-hosts, Becks, (Rebecca Braddock) took upon the task of doing this. Whether women’s football is your thing or not, listeners to the podcast would hear the update each week, so they get that exposure and hopefully it generates some interest. As a result, it has also whet my appetite and piqued my interest levels further. To that end, in February 2016 upon the ladies reaching the Ryman Cup Final, we interviewed Spurs Ladies skipper Jenna Schillaci and striker Avilla Bergin at Hotspur Way for the podcast. The interview was featured in the Spurs newsletter http://www.tottenhamhotspur.com/news/interest-grows-in-ladies-success-180216/ and we had many new listeners listen to the podcast after that episode, all expressing a new found interest in the Spurs Ladies team. After that interview, it felt only apt that we should watch the Spurs Ladies in the Ryman Cup Final. On Thursday 14th April 2016, Becks and I went to Cheshunt FC to watch them take on Charlton Ladies – bit of a grudge match seeing as we lost this final to them last season! I honestly did not know what to expect. What would it be like? Would I enjoy watching my first women’s footy game in the flesh? I decided that the best approach was to try to go into it with an open mind. We arrived on what was a pleasant April evening juxtaposed by the surroundings however, Cheshunt FC was a throwback to an old school ground. A crumbling sign, a small changing room, a bumpy pitch – hardly White Hart Lane. As we arrived, Gary Mabbutt (President of the Spurs Ladies) was there handing out end of season awards to some of the Spurs Ladies (Jenna Schillaci, Bianca Baptiste and Wendy Martin). As for the game itself, it was really enjoyable! After what I though was a nervous opening spell, the ladies dominated the game and had lots of chances. Charlton hardly threatened and we had plenty of chances, unfortunately hitting the post a few occasions and going very close to kill the game off. There was a lot of quality in the ladies game; a lot of pressing, pace on the counter, it was easy on the eye and played in the best traditions of any good Tottenham team. Sadly we didn’t make the most of our chances so the game went to extra time and then a dreaded penalty shoot-out. The penalty shoot-out was a bit tense, they always are, but we came out victorious which made the night and the experience all the more special. As a Spurs fan of 26 years, I’ve seen us win one FA Cup and two league cups, that’s it. I have never witnessed those occasions in the flesh but on this night for the first time, I saw a Spurs team in the flesh pick up a trophy. That was an incredible moment; watching the girls celebrate and lifting the trophy with the Chas and Dave music playing in the background. What made it even more special was the skipper, Jenna Schillaci coming over to say hi after their win! With a final attendance of 635, it’s clear to see that grassroots women’s football is starting to pick up. If I wasn’t already interested in women’s football, then I was definitely after that night and it is merely the beginning as our ladies are involved in no less than three cup finals! The treble is on. They take on Charlton Ladies again on Wednesday 27th April in the Capital Women’s Cup Final at Wingate & Finchley FC. KO 7:45, £5 entry and finally, they take on Cardiff City Ladies in the FA Women’s Premier League Cup Final on Sunday 8th May at Kidderminster KO 14:00, £5 entry. I will be there again for the Capital Women’s Cup Final against Charlton and furthermore hope to get to a few of their league games next season. The Spurs Ladies finished 6th this season and I’m certain the aim for next season is a better league position. I encourage everyone to get to Wingate & Finchley and support the Spurs Ladies. Put aside any pre-conceived ideas you have, go into it with an open mind and enjoy the occasion. I am sure you will enjoy it as much as I did. Javad Movahedi is a Londoner, Spurs fanatic, and founder and host of The Tottenham Hotspur Family Podcast. This entry was posted on 25/04/2016 by javadmovahedi in Uncategorized and tagged Ryman Cup Final, Spurs Ladies, Womens Football.